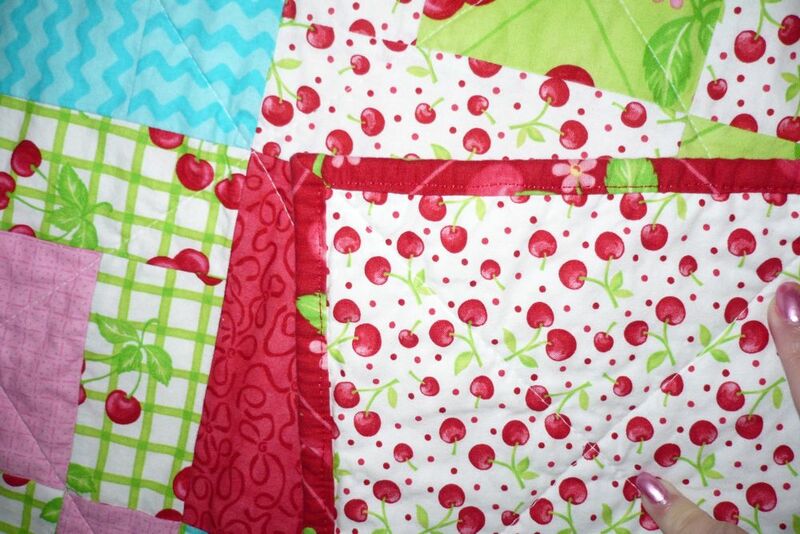 This morning before work I finished sewing the binding down on Cherry Frolic. I would say that 99% of the time, I machine sew my binding, but always have to go back and catch some that I missed. It’s gotten better, but today I can say I didn’t have to restitch any of it, and I caught all the corners. I have to give thanks to Judy over at Patchwork Times. She was lamenting her large pile of quilts which needed binding and her readers talked her into machine stitching them. Here’s the link to her binding posts. I followed her hints and the binding on my quilt turned out the best yet.